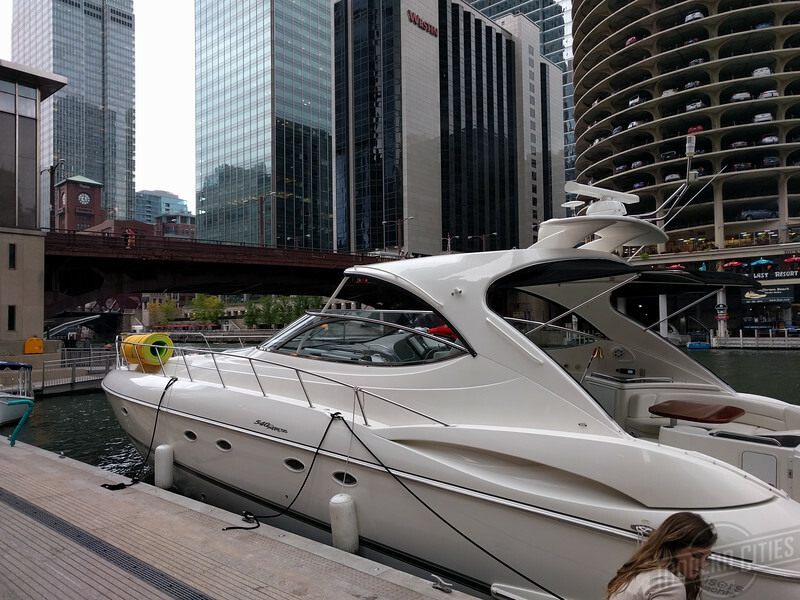 Serving as a part of a network of waterways linking the Great Lakes with the Mississippi Valley, Chicago owes its existence to the Chicago River. 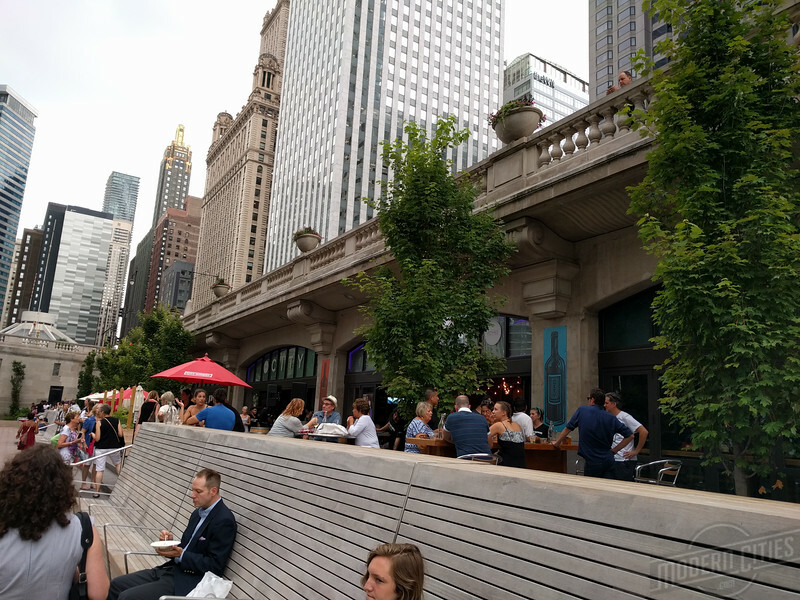 It’s a waterway that flows backwards from its original mouth at Lake Michigan and was once used as a drainage system for Chicago’s lumber and meatpacking industry, making it a public hazard in the late 19th century. 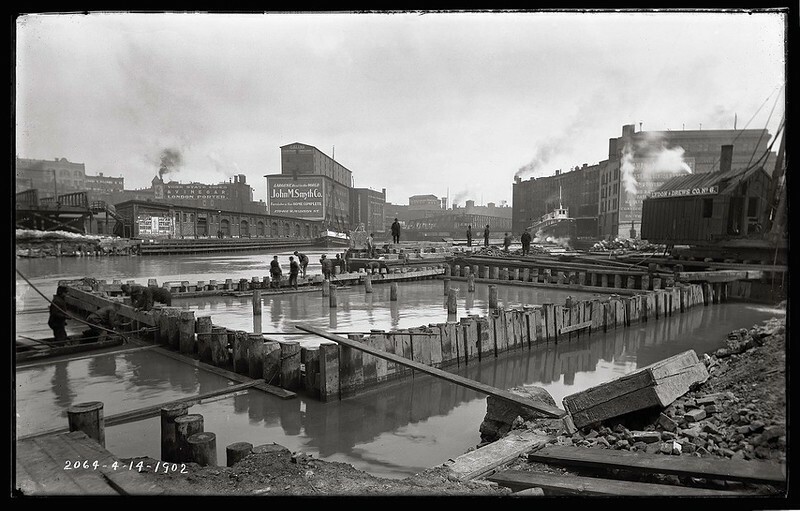 The Chicago River near State Street in 1902. 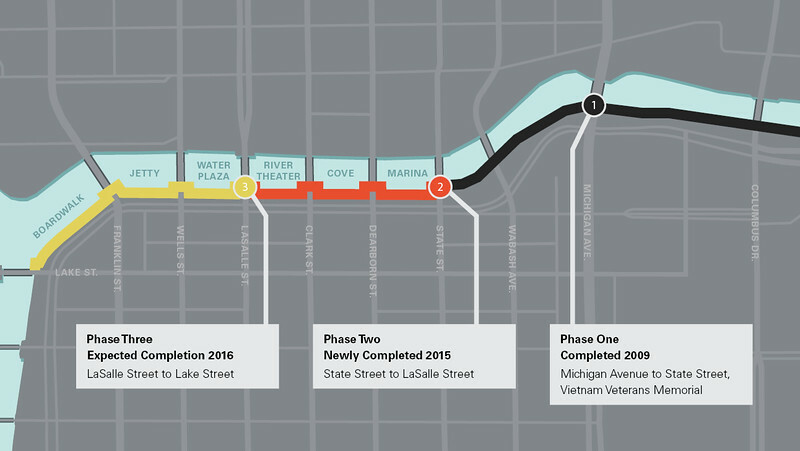 Courtesy of the Chicago Reader. 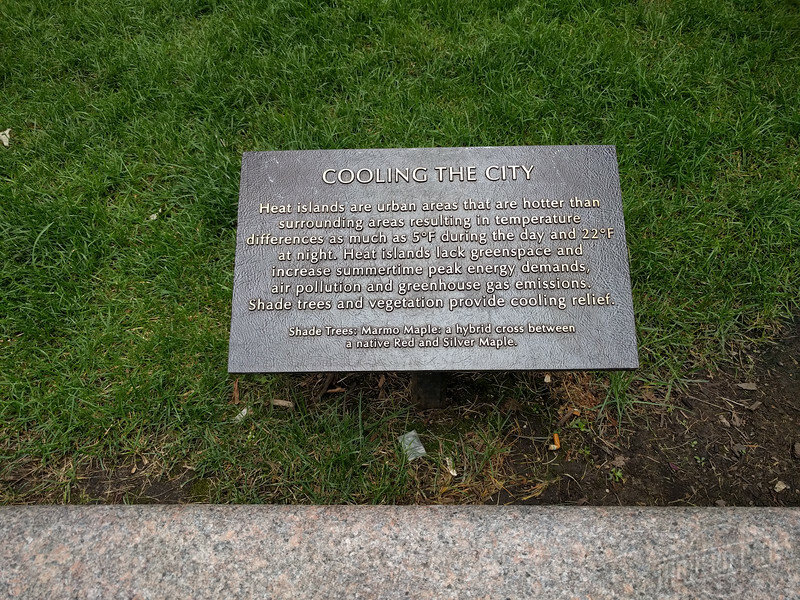 After decades of neglect and being overlooked as a natural amenity and liquid economic asset, attention towards the river’s ecological and aesthetic values became a local priority with the establishment of organizations like the Friends of the Chicago River in 1979. 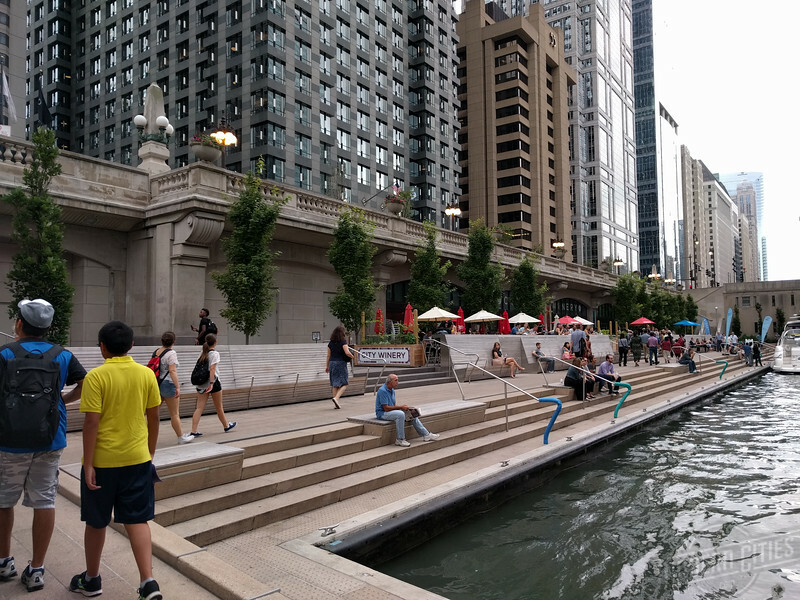 In 2001, construction on the first phase of the Chicago Riverwalk began as a part of the Chicago Department of Transportation’s (CDOT) Wacker Drive reconstruction project. Spanning along the south bank of the river between Lake Shore Drive and Lake Street, the riverwalk links a series of civic spaces:; The Marina, The Cove, The River Theater, The Swimming Hole, The Jetty, and The Boardwalk, each recognized for its unique program. 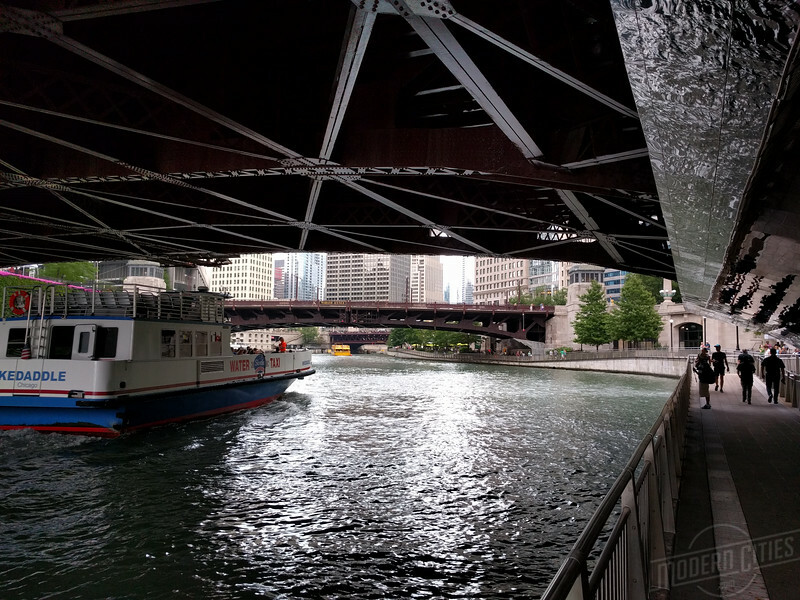 Now also known as the city’s “Second Lakefront,” the Riverwalk offers a variety of opportunities in discovering the beauty, spirit and history of the river and the international city that developed around it.